I've spent a lot of time talking about the Long Island Rail Road, and haven't given nearly enough attention to the NYC subway system. Therefore, in this post we'll explore some subway rules. But before we get started, here's a photo of the interior of a typical subway car, for those who do not regularly ride mass transit. As you can see from the photo, there is not a lot of room on a subway car. People will sit, and standers will be back to back, holding onto the straps above the seats. At certain times of the day, the cars will be very crowded, and it can be unpleasant. Therefore, following the RULES will make it better for everyone. You'll be a responsible subway rider. 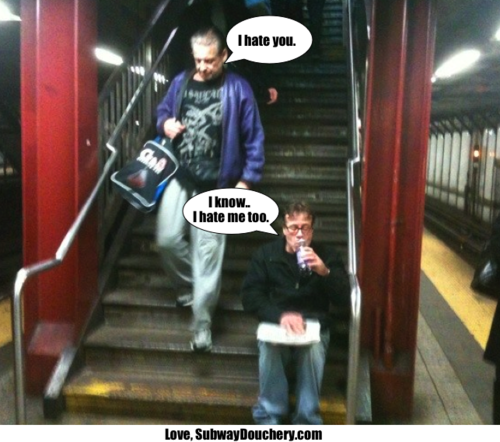 Your fellow commuters will come up to you, shake your hand, and congratulate you on your fine etiquette. Some may want to take photos with you. Be patient, they'll take their pictures and move on. There is a price to pay for success. Backpacks. 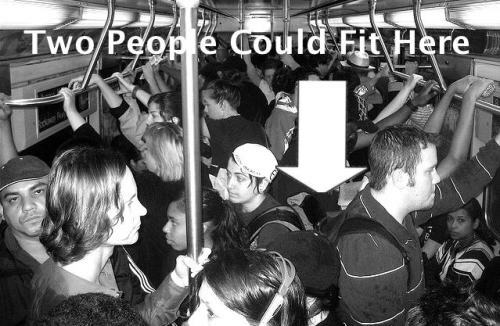 If you get on a crowded train, and you are wearing a backpack, you take up more space. If you stand behind me, your backpack will be in my personal space. Because it is the subway, and no one in his right mind says something aggressive to another rider in a cramped space, I will get your attention with a twitch and be "accidentally" be thrown by the subway car into your backpack until you become so annoyed by me that you remove it. Sometimes, passive-aggressive is the most effective and safest tactic. This guy is the only person on the train. In his mind. If you're going to perform, don't kick me. Have you ever been a spectator to the scene in the image below? It is pretty common on trains outside of rush hour, as that the performers have room to move. Whenever I see these guys, I always wish I had body armor. These knuckleheads are dangerous. They spin, they jump, they do flips, and they are a nuisance. Steps are for walking. Not sitting. It's a New York City subway staircase. It's damn gross. I don't even like the soles of my shoes touching the steps. This guy is going to sit on those steps? AND EAT? Yuck. I understand why the guy walking down the steps makes that comment. Seeing the sitting guy causes the same visceral reaction in me too. 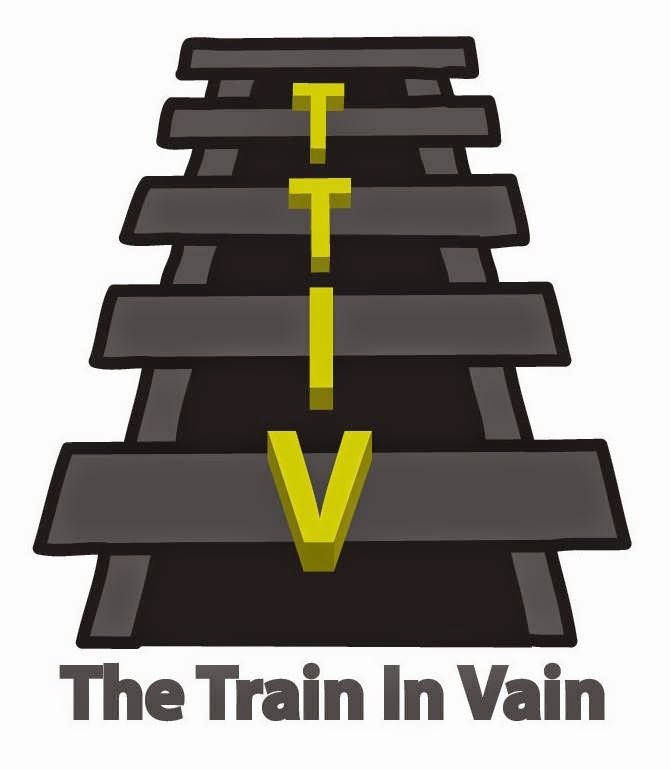 Approach the turnstile with a goal in mind. The photo below is of a set of turnstiles in New York City. Some people are baffled by them. A rule of thumb for me is the larger the group approaching the turnstile, the greater the likelihood they will have trouble negotiating it. If I see three people approaching a turnstile, and one has a camera bag, I know they're tourists and likely to be puzzled. Avoid, avoid, avoid. If you're not familiar with the turnstile concept, pay a visit to your local library before your NYC visit and take out a book on turnstiles. The MetroCard is swiped forward. The turnstile beeps. You walk through. If you're wearing a backpack, you take it off when you get on the train. And the last RULE of the day: If you notice an attractive woman, staring at her intensely is not likely to result in reciprocated feelings. 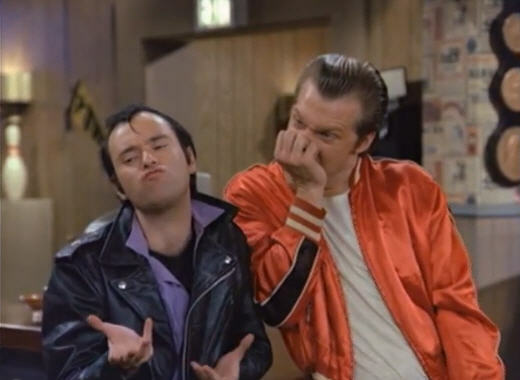 This may have worked for Lenny and Squiggy, but you will just be a creep if you try this tactic. And those are the rules for the day. I'd give you all a test to ensure you've comprehended the material, but I'm in a rush to catch the A train.